By law, Federal Prison Industries (FPI) is not permitted to sell its goods on the open market, it can only sell to other agencies within the federal government. Still, the growing capabilities of prison-based manufacturing make their products increasingly attractive to government contract buyers. FPI's biggest buyer is the Defense Department -- The DOD gives FPI close to 60 percent of its sales annually. Other regular buyers are the Department of Justice, Department of Homeland Security, Social Security Administration, Postal Service and the General Services Administration. Agencies have all been strongly urged to support FPI as evidenced in a memo on UNICOR's website from Attorney General Eric Holder himself. FPI also sells manufactured goods right back to its sister entity, the Bureau of Prisons. The Office Furniture Business Group supplies administration offices with swivel chairs, file cabinets, workstations, conference tables, lecterns and cubicle mazes. The Clothing and Textiles Business Group generates some of the most common use items. It makes uniforms and apparel for law enforcement and the military, including bulletproof vests and helmets. The Clothing and Textiles Business Group makes patient-use items for hospitals like mattresses, bed linens, blankets and bath towels. It also creates items for medical staffers such as nurse's uniforms and doctor's lab coats. Prison workers make their own prescription eyewear and safety goggles. The Industrial Products Business Group also uses its metals and plastics to produce other industrial items like fences, shelves, tables, signs, lockers, catwalks and storage. 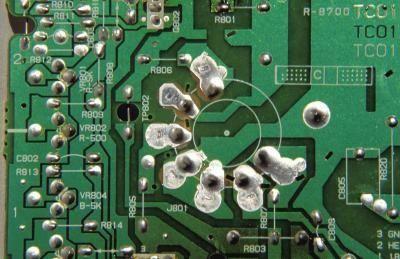 UNICOR's Electronics Business Group makes the circuit boards used in military and agency communications, radar systems, control panels and sensors for combat jets, helicopters and ground combat vehicles as well as missile guidance systems. The Electronics Business Group produces renewable energy solutions for federal agencies, known in the industry as photovoltaic solar modules, predictable and controlled energy sourcing, on-site renewable energy supply.